So here are the peppers, onions and mushrooms. I totally forgot to take photos of shrimp and chicken, so I guess that part did not happen. 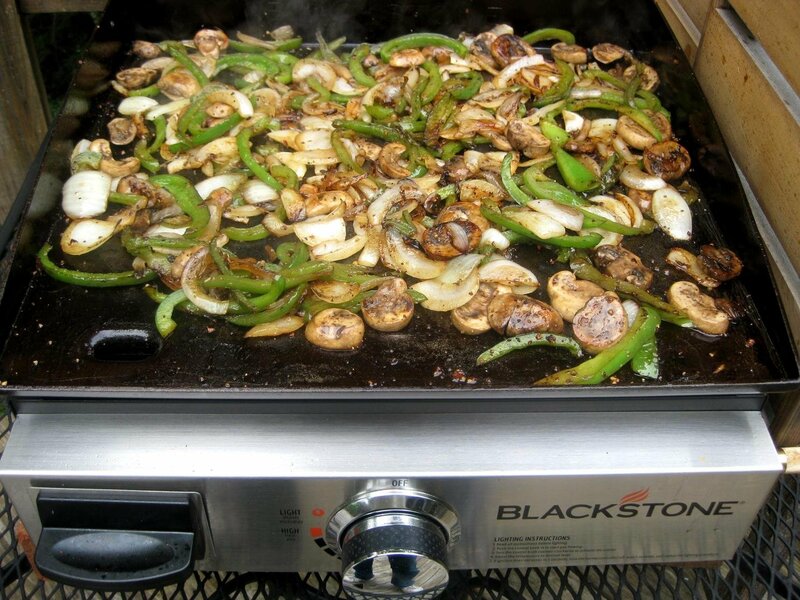 No plating pics either, so I guess I should have titled this post peppers, onions and mushrooms on the Blackstone 17, as that did happen, according to the photographic evidence. Yeah, pretty much wasted everyone's time with this post. Still, the veggies look good, and the seasoning on the Blackstone surface is holding up nicely.